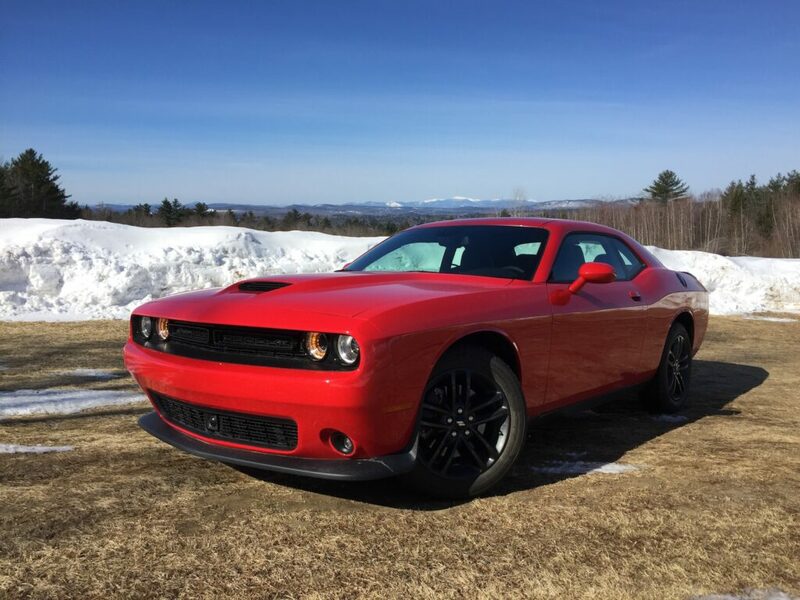 "The Challenger's AWD was plain unflappable." Photo by Tim Plouff. Location: Paris Hill. 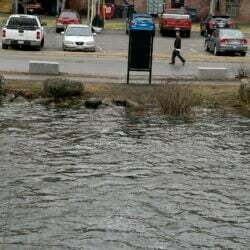 March in Maine brings a higher, warmer sun that signals that winter will soon be over, and spring will splash everything new again. March rekindles long-dormant passions for driving sports cars and getting personal vehicles out from under cover and into the sunlight again. March also brings black ice, slushy snowstorms, and nasty roads that tear at the heart of fragile summer tires and their deft suspensions. March can be both refreshing and painfully mean to car enthusiasts. The Challenger starts at $33,295, but add the Plus Package ($2,495); technology packages, driver aids, and a Harman Kardon stereo upgrade, and the sticker can zoom to $42,960. Photo by Tim Plouff. 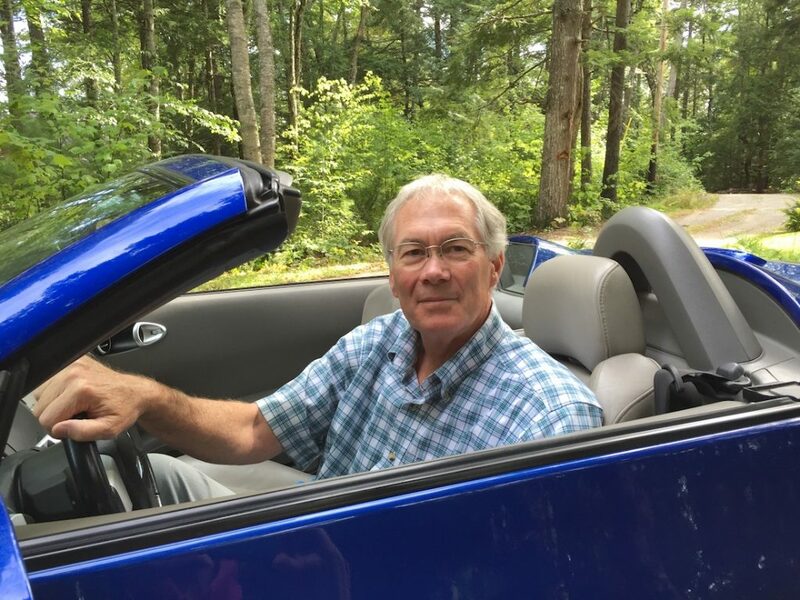 In Maine, sports car fans, pony-car aficionados, and real gear-heads have to be conscious that their beloved vehicle might be a second, or third, vehicle in the family driving budget. FCA/Dodge recognized this slice of the American marketplace three years ago when it decided to create an all-wheel drive version of the Dodge Challenger. Employing the corporate 3.6-liter V-6 teamed with an eight-speed TorqueFlite transmission powering a rear-biased all-wheel drive system, the Challenger GT can do many things that the Ford Mustang and Chevy Camaro cannot – such as excel at winter driving. Day two of the Challenger’s visit delivered three inches of heavy, wet snow atop the Beirut-like rural route used for commuting. The Dodge didn’t even notice. Days three through seven saw heavy doses of black ice each morning. Again, the Dodge shrugged its shoulders and plowed down the road with the grace of a grand touring sedan. Which isn’t as far-fetched as it sounds, since this two-door coupe’s chassis is liberally based on the same Mercedes S-class and E-class components first developed for this car in 2008, when Chrysler was partnered with Daimler-Benz. Sound like heresy, a Dodge that works as well as a Mercedes? That the Challenger, a roomier, more human-friendly version of the American pony car than either of its two rivals, should drive as well as a similarly configured C-class or Audi A5 coupe wouldn’t seem plausible, unless you spent time behind the wheel driving in real America (not the autobahns of Germany) where the Dodge asserts itself very well, thank you. No smoke: The Challenger – at 12 years old – has a buttoned-down chassis that produces excellent feel, ride, and handling dynamics while cosseting its occupants. That is, by definition, one of the traits necessary to be a GT – a Grand Touring car. The Challenger’s AWD was plain unflappable. Push the traction limits, inducing some initial tail-wagging in this typically rear-drive coupe, and the limited slip differential and viscous-clutch pack quickly shifts power to the front wheels, creating a controllable power slide that you manage with your pedal application. Precise steering feel, plus strong braking action from the four-piston Brembo calipers, lean decidedly towards the sportier end of the driving scale without punishing, or requesting, extra driver attention. What is better than enjoying your sporty coupe year-round? The Challenger GT doesn’t shy from any driving task. Dodge offers the AWD system on the base SXT trim this year, but you have to step up to the GT trim to get the visuals and performance gear photographed here. The protruding front splitter, the yellow-halo driving lamps, the wider wheels, the rear spoiler, and the Brembo brakes and Bilstein shocks come only on the GT edition. Inside, the GT is not all go with no show. ParkSense backup systems with a camera, keyless entry and ignition, remote starting, plus Apple/Android compatibility are all standard, starting at $33,295. 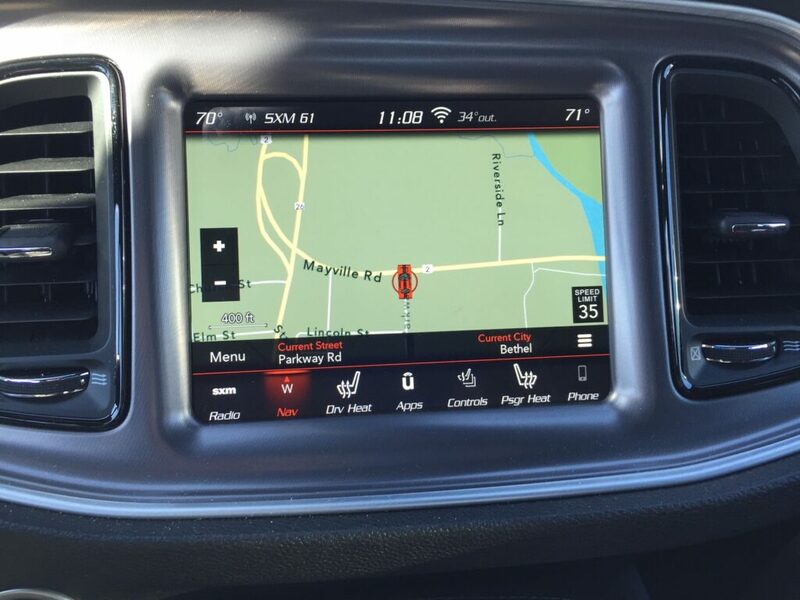 Check off the Plus Package ($2,495) and you get a power tilt/telescoping steering wheel with heat, Nappa Alcantara suede and leather sport seats – with heat and cooling, plus the 8.4-inch U-Connect screen with Challenger performance apps and a 4G LTE Wi-Fi hotspot. Flesh out the option book with technology packages, driver aids, and a Harman Kardon stereo upgrade, and the sticker can zoom to $42,960 all in. The only thing missing, the only lament after a whole week of graceful, sure-footed travel, is the absence of a Hemi V-8. Sure, most pony cars are sold with the smaller V-6 engines as buyers embrace the look – on a budget. But darned if this chariot wouldn’t be just a tick better with the subtle chortle from the Hemi hymn book. Despite this protest, our GT returned between 23 and 27 mpg for our time together, right up against the EPA estimates of 18/27/21 mpg. The 305-hp engine proved to be efficient and potent enough. With the hunkered stance, familiar controls, and the grip of all-wheel drive, the Challenger GT just might be one of the best pony car values. Can we get a convertible version too, Dodge?